Customised clinical forms can be created within Med+DBase and attached to the corresponding appointment types which in turn capture all medical data, varying from the patients’ past medical history and social habits, to the number of alcohol units consumed per week. Each field within the clinical form has a SNOMED CT term and clinical statement attached. As data is entered into the clinical form, it is associated with the term and attached to the patient record medical history. 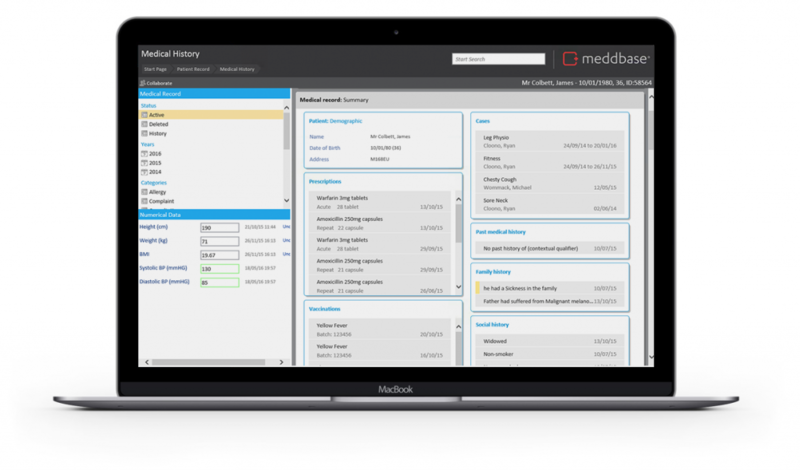 Data is automatically captured and saved as you type and the match process of free text to SNOMED CT is carried out automatically by Meddbase in the background.